I've been doing some reading around digital literacy for an essay due in June, and came across a great article by L.A. Henry (2006) called 'SEARCHing for an Answer: The Critical Role of New Literacies while Reading on the Internet'. 1. Set a purpose for searching. 2. Employ effective search strategies. 4. Read critically and synthesize information. 6. How successful was your search? There are a number of search tools/engines that I've found recently, that have been specifically designed for younger learners, and could be useful in helping this 'gatekeeper skill' of effectively locating information. The first of these is Kidsclick, a website designed by librarians. They developed this to help develop the skill of locating information. It doesn't block any sites, being intended to 'guide users to good sites, not block them from bad ones.' It uses the SWISH-E search engine. The next one I found is Ask Kids, designed for 6-12 year olds. This website is filtered, and each website in their core index was selected by their editorial team as child-appropriate and relevant. Great visual layout, and easy to navigate. The last one I'll talk about today is Kidrex, which uses the Google search engine. This site has a page for parents with tips on how to help their children use search engines effectively and stay safe online. This one is also filtered and tested daily by reearchers to make sure it's working as it should. They also have a webpage removal request tool, so that you can report any inappropriate sites that do sneak through. It doesn't have an index like the sites mentioned above, just a search window, so it could be a little harder for kids to use. Once at the website, of course, students need the skills to know whether or not a website is credible and worth reading. 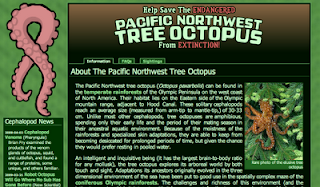 I wonder how many of my learners would be able to pick this website about the Pacific Northwest Tree Octopus as a fake? Kathy Shrock has some great resources designed to help learners take a closer look at a website and evaluate it. I particularly like the '5 W's of Web Evaluation' and her Critical Evaluation of a Website sheets that students can fill out to evaluate websites. These tools are great for developing information literacy skills. Andrew Churches has a good collection of links to some great boolean search tools here. The internet is a vast space with some wonderful opportunities for learning. Learners can miss out on this if they lack the skills to even get through 'the gate' and efficiently find what they are looking for. Excellent advice!Thank you! I might not have noticed myself that the Pacific Northwest Tree Octopus was fake - just kidding! I mean there are tree frogs, why not octopi! I'm going to talk about this with my grandchildren, hehehehehe! Thanks Karin - they would certainly make hiking an interesting experience! I think pages like this are really useful for forcing learners to articulate their reasons for accepting/rejecting information on a website. I agree with you, these days there are some pretty amazing, authentic things out there, things we would never have believed only ten years ago. You really have to think twice sometimes before deciding something is fake. What are those skills that digitally literate people have that enable them to effectively evaluate information, and how can we develop these skills in our learners? That's the question. Good luck with the grandchildren! Not sure I would know how to develop these skills in learners. That's why you are the teacher and I'm the grandma! And I'm still learning! When was the website last updated - no recent activity makes me question it. Spelling and Grammars errors - not credible in my opinion!! Is there any other website that corroborates this person's info? Who is advertising on the website and does that make sense? Greenpeas on the PNTree Octopus, LOL! But I'm sure you know all that. When my kids used to ask me, "Mom, is this real or true?" Depending on the situation, I would usually throw it back at them ask them what they thought and why, and discussion would ensue. I'd give clues if they were stumped and I'd ask more questions. Thanks Karin, great suggestions. I like what you said about grammar and spelling. When my students say "Who cares?" about this, it's important to remind them that actually, people are less likely to believe them if their work is full of mistakes - it reduces their credibility.